Win a Prize Every Weekday Until Christmas! Win a Prize Every Weekday Before Christmas! 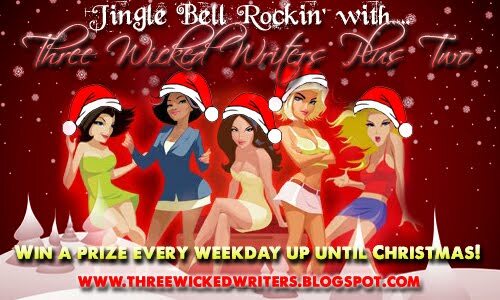 Be sure to stop by Three Wicked Writers Plus Two every day from Dec 1st until Christmas. You can win a prize every darn weekday. WOOT! Come and join me over at Three Wicked Writers Plus Two and tell me all about the silly things you’ve done in and around the home! A story in the Cougar Challenge series. I’m blogging about contemplation over at Three Wicked Writers Plus Two today. What gives you pause for thought? 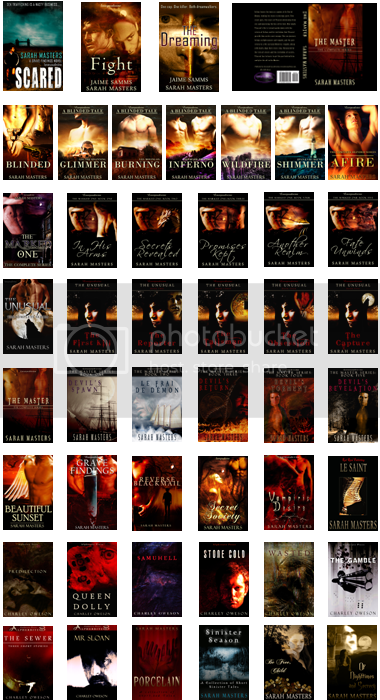 Also, my alter-ego, Sarah Masters, has a new release out today. Wildfire, book 4 in my m/m Blinded series. WOOT! Ryan takes Lee away to recuperate, but once again, someone from their past catches up with them. After Lee leaves hospital to further recover from being shot, Ryan takes them on a long weekend. They stay in a hotel and enjoy one another’s company, taking strolls on the beach and eating in the local pub. During one beach walk, one of their old adversaries shows up, letting Ryan and Lee know in no uncertain terms that the gang leader hasn’t finished with them yet.